Home / Blogger / Website / 10 Easy Ways to Increase Website Traffic. Hello friends, Today I will tell you about how to increase website traffic by 10 easy ways. As you know, what is the importance of traffic for a blog or website. As you know, why we create blog or website. Obviously to earn money and if we have limited no.s of visitors so we will earn a limited amount of money. That's why I wrote this article to help you to get more traffic. You will get more traffic, good alexa ranking and your post will appear in Google search result. As you have created a new blog or website. Also you have wrote various good posts but you don't have any traffic that means you blog has no role to earn money. And your hardwork will not produce any profit. That's why I am telling you about the importance of traffic. Without traffic your blog is Non-living object. Today I will give you some tips that will increase the traffic on your blog. Read whole article carefully and apply on your own blog or website. This 10 tips will increase the traffic of your blog or website. Use this tips and get traffic. Read this all points in detials below. Goole understands HTML. Google understood your blog by HTML code. If you have not prepared site map of your website, then please make site map of your website because Google will understand all the activities on your blog. As if you have post a new article then Google will will index your post and your article will rank in google search engine and you will get traffic on your blog. Site map is very important to get traffic from search engine. You have to submit your sitemap to Bing, Baidu, Yahoo, or other search engines. If you created a new blog or website, you need to submit your blog in webmaster tool by which Google will recognize your site. If you will not do like this, then your website will not rank in Google. You will not get visitors. If you will not submit you site to webmaster, then how Google will know about your website so its necessary to submit your website to webmaster tools. 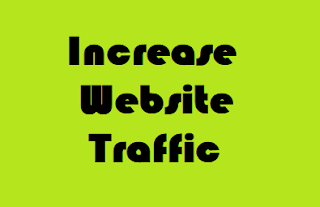 It will also provide organic traffic to your website. Your website will start to rank in Google search query. If you have post a new article on your website, then you can index your post forcefully in search query. By the use of fetch as Google, your post will appear in google search engine within 24 hours. This process you have to perform manually. Whenevery you will write a new post, then submit your post in fetch as Google. Directory submission is also important to get traffic on your website. If you want to take traffic from every country, then inclusion of your website in directory submission is important. If you index your website in google then you will get traffic from google but if you have submit your website in directory submission you will get traffic from many search engines. This traffic is come by the help of search engine. This is also known as real traffic. Traffic from sharing is equivalent to paid traffic. As you have wrote an article, then you will get large amount of traffic after some days without sharing. This traffic is known as organic traffic. If any visitor comment on you website, then please try to comment as soon as possible. It will provide trust to visitors and they will be become personal visitors. It will also make your website as a brand. If you will not answer the comments, then visitor may shift to another website or blog and growth of your website will affect. So try to respond fast. It is also known as personal traffic. If you have push notification function in you blog, your visitors may able to enable this service and they will get notification by email of your new post on your blog. And they will read your post. These visitors also known as family member, because if no one will read you article, then atleast these visitors will read you post. 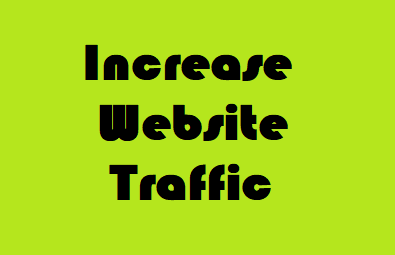 They will help you to provide traffic on your website. If you want to rank your website then backlink is very important. If your post is not an SEO freiendly. If your blog is not an SEO friendly, then also you can rank. For this purpose, you need many genuine backlinks. If you want to make backlinks manually, then comment on other top blog or website. Comment will approve then a good backlink will generate and you will get good traffic. Use social sharing to increase your traffic. If you dont have good ranking, then use social sharing to get traffic. You will get continuew traffic from social sites. It will gives vistors as well as they can subscribe your blog if they like your post. You can use Facebook, Instagram, Youtube, Google Plus, and Pinterest. You can also promote your website by paid promotion. It will give you better traffic. You blog will rank soon in search engine. But you have to paid some money. There are many website that charges money for website promotion.